Diageo is to resurrect Pimm's No 6 Vodka Cup after delisting the drink, following a vociferous campaign by consumers to have the drink reinstated. The drinks group said that people had contacted it from across the world, with "dozens and dozens of people" getting in touch. Meanwhile, the City of London Club, which was down to its last five bottles, launched its own campaign to have the drink brought back. As stocks of the delisted drink began to run low, Diageo received increasing numbers of pleas from consumers, via letter, email and social media. The variant will be brought back in the summer of 2015, available nationally at selected retailers and "potentially via an online platform". Joanna Segesser, the senior brand manager at Pimm’s, said: "We take consumer feedback to heart, and we have been overwhelmed by the outpouring of support for Pimm’s No 6 Vodka Cup. "Pimm’s is an iconic British brand and we are delighted to be able to listen to the British public’s request to re-launch Pimm’s Vodka Cup." 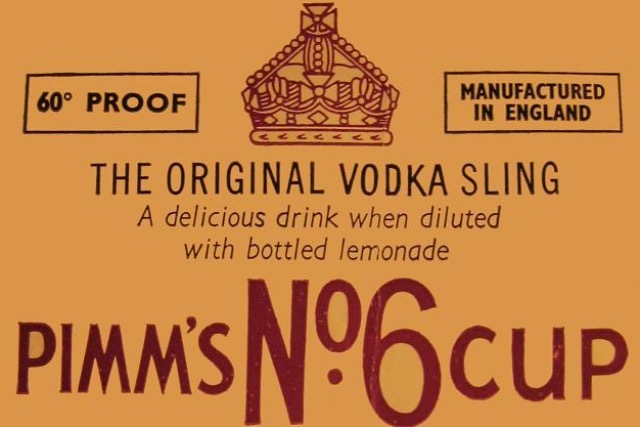 Pimm’s No 6 Vodka Cup was originally launched in 1964, when it was known as Vodka Sling.